What does a child care provider do? What DOESN’T a child care provider do? A provider is a like another mom, aunt, teacher and a friend. Providers care and teach. One goes along with the other – caring and teaching is what happens all day long in child care. Both are necessary in early childhood. Happy Child Care Provider Appreciation Day! This day is always celebrated the Friday before Mother’s Day. See Providerappreciationday.org for ways to celebrate. A little thank you always goes a long way! Little thank yous throughout the year are wonderful too. Enjoy this Child Care Provider Appreciation Day Printable – either laminate or display or frame it and make it into a gift. Download the printable poster at the end of this post. 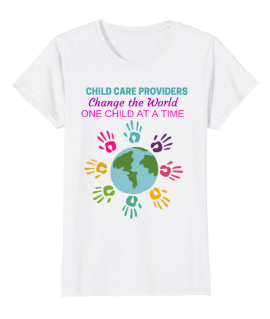 Need a gift idea for your child care provider? Print and frame this printable poster, or any of the others listed below, as a gift for your provider. 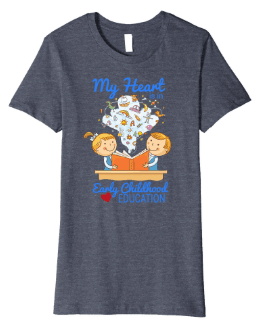 This design, as well as many others, is available on a t-shirt. 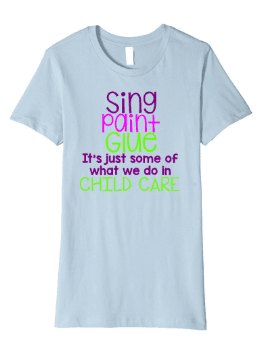 Makes a great gift for your child care provider or staff! 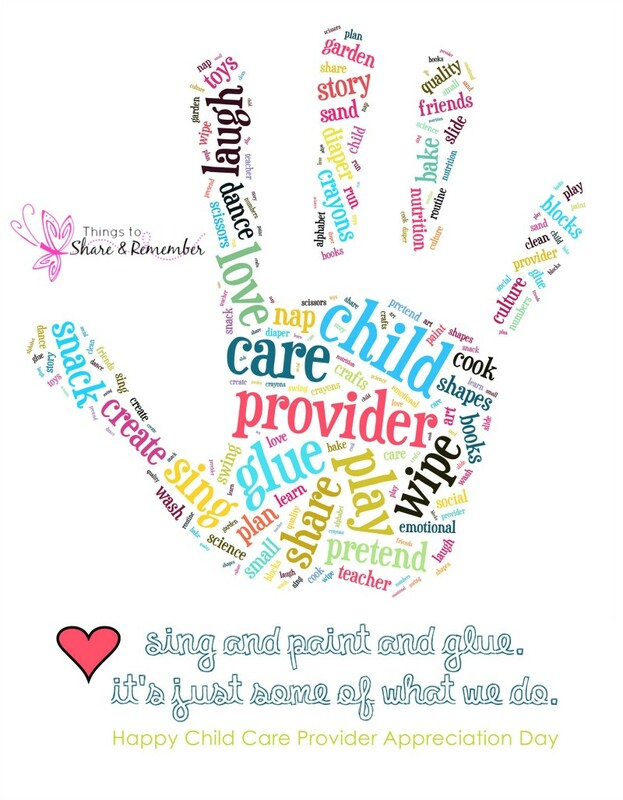 Hi Stacy-Thanks for sharing the wonderful handprint for Provider Recognition Day….can you tell me where I can find this poster so that I can change some of the words….thanks much! I’m sorry, I created this and it isn’t for revision. Thanks for your interest. I’m a HUGE fan of Subway Art (I call it WordArt) and this is lovely! Nice work.